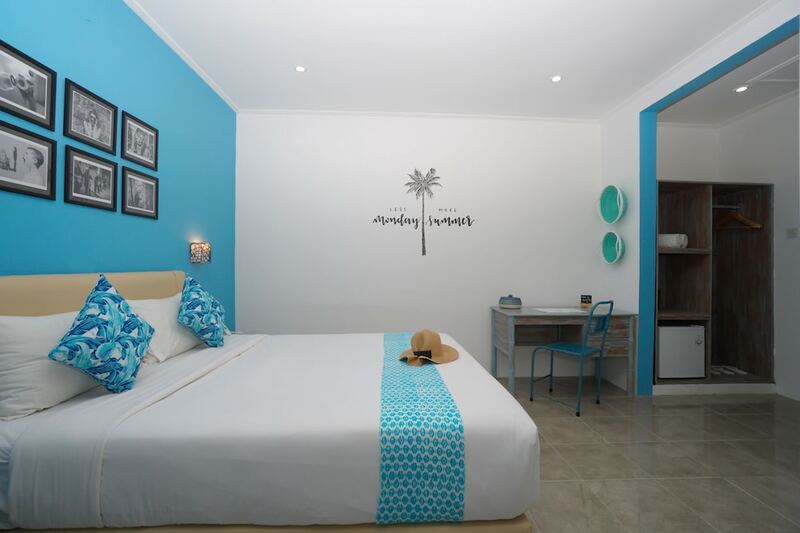 If it’s your first time in Sanur, you’re in for a relaxed coastal experience. Sanur is on Bali’s eastern coast, and it’s one of the best places on the island to enjoy magical sunrises. It’s a short trip away from Kuta Beach, but offers calmer seascapes and an overall laidback appeal. You can enjoy shopping down the main road in Sanur. And there’s a popular fresh market in the heart of town, serving a great local dining scene after dark. Even though nightlife is low-key in Sanur, there are some great spots around this sleepy village to head to for drinks and live music entertainments. Sanur is one of Bali’s earliest tourism resorts. The area is rich in history. It saw its rise in the 50s, around a decade after Kuta. The beach is home to the Inna Grand Bali Beach, a historic hotel that first opened in the 60s and remains the island’s only high-rise building. Some major cultural and historical landmarks are scattered around the area and sometimes hidden in plain sight. Most hotels in Sanur also maintain their classical features, as many repeat guests call them their second home. Sanur is where you’d go for a quieter beach scene among Bali’s popular southern areas. This quiet sunrise beach offers a relaxing coastal atmosphere, quite the opposite of the youthful and livelier Kuta and Legian on the other side of the island. Sanur caters to a wide range of budgets. You can find cheap stays as well as five-star resorts here. Sanur has some of the most well-kept beaches in Bali. Some of the hotels along the coastline often meticulously rake the sand with wonderful textures. Several small connected beaches line the coast, and all are quiet. A pleasant paved pathway allows locals and visitors to enjoy morning jogs against the rising sun. Besides seaside historical landmarks, you can visit Sindu traditional market. It takes on a popular night market scene after sunset. If you’re game, discover some underwater beauty off the shores – no diving experience required! Here’s some of the top picks. From street markets and seemingly unending rows of art shops along the beach pathways, Sanur can serve as your shopping haven in Bali. Along the main street of Jalan Danau Tamblingan, you’ll also find designer boutiques in between the variety of bars and restaurants. It’s a pleasant shopping walk away from the beach. For daily necessities at fixed, local prices, there’s a good supermarket in the heart of Sanur. You can also go there for a quick bite or a cold Bintang. Sanur’s nightlife scene may not be as rich as that of its counterparts on Bali’s opposite west coast. But here are some of our favourite great spots to hang out, drink, dine – and even party until late. The coastal village of Sanur retains much of its traditional ways. The same can be said about its dining scene. There are traditional warung food stalls selling local delights around the beach. Along the main street are cafes, bars and restaurants that each caters settings and menus for a wide range of tastes and budgets. Here are some of the great dining spots around Sanur we’d take you to, anytime.